I’d love to hear from you! Please use the form below or contact me via phone or email. 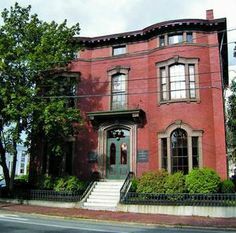 Root Therapy is located within the Greater Portland Landmarks building on the corner of Spring and High Streets. Please note that the entrance is around the corner on the *Spring Street* side of the building. Please take the elevator to the third floor, turn left out of the elevator and then left again. My office is at the end of the hall. Parking is available in the metered lot directly across High street, and on the surrounding streets (though not in the parking lot immediately adjacent to the building).